To list a concert, please click here. Listing is updated regularly. Chopin’s Nocturne, Op. 27, No. 1, Liszt’s “Sospiro” and other works intermingled with wide-ranging conversations on topics including his early life and the triumphs of his brilliant career. "I am glad I found this site. It is inspiring to try new things through this site. I'm vibrant and I love trying new things and this is the perfect site for it. People coming together, each one teaching one another. This is nice." 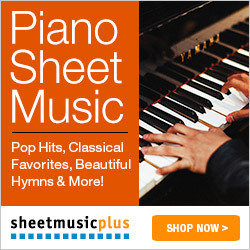 "I am a 28 year old, long time piano player that frankly gets out of the habit of practicing too frequently! This group seems exactly what I need to get back into the swing of things while listening to some great music."